Rishi Sharma has logged a lot of hours on the road in recent years, connecting, meeting and filming interviews with combat veterans who served in World War II. To date, he has amassed a comprehensive archive of over 850 interviews – easily over 4,500 total hours and counting — all part of his ambitious plan to honor America’s World War II heroes and preserve their stories for generations to come. Remember May 16, 2018. That will be the day that fans of the spoken word have two things to celebrate. The first is to honor what would have been Studs Terkel’s 106th birthday. The second is the public launch of a new online project that has been years in the making – The Studs Terkel Radio Archive. There is a preview of things to come in our CONVERSATION with WFMT Radio Network Director Tony Macaluso which includes clips from a 1960 interview between Studs and silent film legend Buster Keaton. In and among all the fascinating information that you need to know about speaker, writer, activist, and now, actor, Clifton Truman Daniel, is that he happens to be the oldest grandson of President Harry S. Truman and Bess Truman and son of author Margaret Truman. As current custodian of the family legacy, he has contributed to expanding our understanding of Truman’s life with a lecture series, two books and continues a professional association with the Harry S. Truman Library and Museum and Truman Institute in Independence, Missouri. 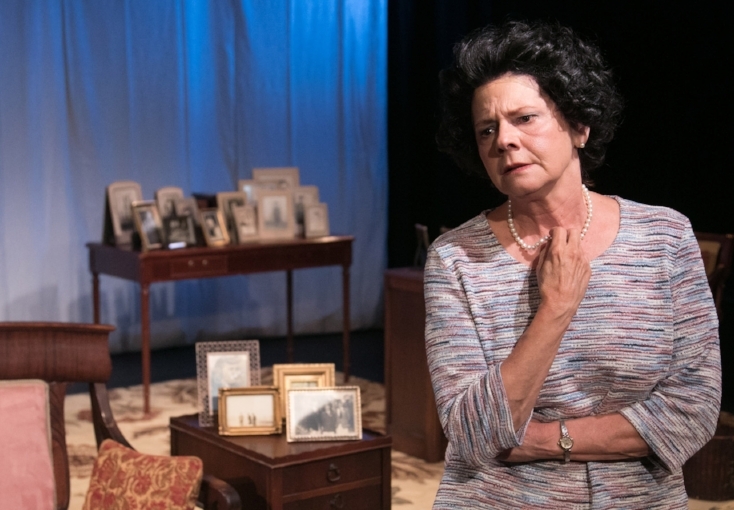 You might think that after Linda Reiter received the Joseph Jefferson Award for Best Solo Performance as Rose Fitzgerald Kennedy in the Greenhouse Theater Center’s 2016 production of ROSE, there might not be any new ground to cover. However, considering the evolving social era in which we live, the critically-acclaimed production of the Laurence Leamer play, set to open on January 12th, seems even more relevant today than during its Chicago premiere. Charlottesville, August 12, 2017. Three deaths. Nineteen other serious injuries reported. Many more if you consider the psychological trauma inflicted on the scores of individuals there that day. Historian Arnie Bernstein sees comparisons and contrasts to another troubling time in our history. If not for a comment by Walter Matthau on the set of Dennis the Menace, Randall Newsome might well be still behind the camera. Not much shakes Nick Mason, author Steve Hamilton’s new antihero. He is relentless, calculating and for a time, appears to accept his release from the last 20 years of a 25-year federal sentence as an opportunity. In his new world, there is a Chicago town house in toney Lincoln Park, fast cars and a chance to reconnect with his ex-wife, daughter and the pals he protected by taking the rap for a poorly executed heist that landed him in prison. He owes this opportunity to one man, Darius Cole, one of the most powerful and ruthless criminal bosses ever, who happens to run his vast empire from the very same prison. Mason’s new job on the outside is to answer his cell phone when it rings and follow orders. As you would expect, while it sounds simple enough, he soon realizes that lives are at stake, and not just the target that has been chosen for him to kill next. All this and a Chicago skyline formed the backdrop for Hamilton’s first book in the series, 2016’s The Second Life of Nick Mason, a highly-anticipated and critically-acclaimed new work that landed on the Best Book lists for Kirkus and NPR, was Top Thriller for the Library Journal and received stellar reviews from the New York Times, Esquire, The Wall Street Journal and AP to name a few. Hamilton, in case you didn’t know by now, is the author of ten books in the Alex McKnight series which received an Edgar and a Shamus Award for Best First Novel for A Cold Day in Paradise. A standalone novel, The Lock Artist, was a New York Times Notable Crime Book and won an Alex Award and the Edgar Award for Best Novel. Now comes Exit Strategy and Nick Mason returns deadlier than ever. 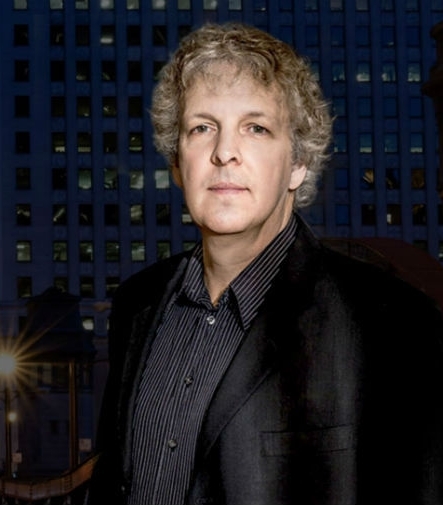 We caught up with author Steve Hamilton for a conversation in Chicago on May 15th to talk about the new book, the Lionsgate film project that is underway, and what is it about the turbulent and violent world of Nick Mason that keeps us coming back for more. “His roommate Diana is living in the same cage. She had a personal relationship with Darius Cole and was left in his town house to run some of the businesses." "The first book was optioned by Lionsgate and that is very much in the works … They will come to Chicago and actually film it here, which will be just fantastic." You have seen Ed Kross. Everywhere. Dozens and dozens of times. Maybe on a cruise ship with Second City. Or during the three-year run of I Love You, You're Perfect, Now Change at Royal George, as the Tin Man in Wizard of Oz at Chicago Shakes, a tap-dancing monkey in Jungle Book at Goodman Theatre, or as the quirky studio host in I Love Lucy Live on Stage at the Broadway Playhouse. There are two memorable roles as a bank manager on-camera opposite Tom Hanks, in Road to Perdition, and George Clooney in Oceans Twelve. Among his over 60 commercial appearances, Kross makes a copy machine selfie and shares a microphone with a dancing mini-wheat. 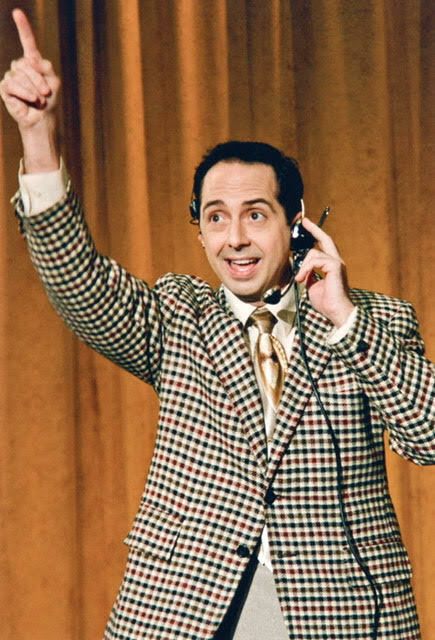 It is safe to say that Ed Kross is a natural born comic, actor, singer, and dancer. And while it was always part of the plan to pursue a theater and on-camera acting career, Kross says the key for him was to keep busy and apply some basic improv principles to his own life: be present, get out of your head, know the rules, learn skills, stay sharp and be sure to strive for balance in your life. These days, as we found out in our conversation on April 14th, the witty Kross delivers a more serious turn as a police officer struggling with PTSD in the new Amazon Prime web series Patriot, a role that is on the other end of the acting spectrum from his early days aboard the Norwegian Epic with Second City. No holiday season is complete without a visit back to Bedford Falls with George and Mary Bailey, Bert and Ernie, Mr. Potter, and an angel named Clarence. Frank Capra’s classic film, It’s A Wonderful Life, is the timeless and endearing story that tells the importance of one life to lives of others. A holiday tradition not to be missed, and 15 years in the making is, It’s A Wonderful Life: Live in Chicago! The American Blues Theater's production is a show for the entire family, set on stage in the style of a 1940’s radio broadcast with an original score, Foley sound effects and holiday songs. There’s something to comfort everyone here … right down to the milk and cookies served by the cast. The production is directed by Wendy Whiteside, Producing Artistic Director since 2010, who has played the role of Mary six times over the years. In that time, the Joseph Jefferson Award recipient and nominee has led a remarkable period of artistic growth and professional recognition for the 37-member Ensemble whose mission is to explore the American identity through the plays it produces and the communities it serves. SG: Clarence leaping off the bridge to save George, and George subsequently jumping off to save him. ET: I feel like I’m right at home in my bath tub. SHELDON PATINKIN (1935-2014) helped shape the Chicago comedy and theatre scene as a writer, performer and director for well over six decades. He served as the longtime Chairman of the Theatre Department at Columbia College Chicago and was part of perhaps the greatest generation of Chicago improvisers, playing an integral role in the evolution of The Second City. On September 19, 2013, as we prepared for the third episode of our PBS show Chicago Conversations, Sheldon Patinkin joined Ed for a wide-ranging conversation about his career, the development of The Second City and many of the extraordinary comedians he has worked with over the years. While portions of the interview appeared in our television show, Second City: First in Funny, this podcast is the audio track of the studio interview with Sheldon Patinkin -- unplugged and at his best -- in what is believed to be his last long-format interview.